Much like academies, so-called “free schools” are contributing towards the destruction of our criminally-underfunded education system. The first free schools were opened in 2011, and unfortunately two of Leicester’s three Labour MP’s are firm supporters of a privatised education system. 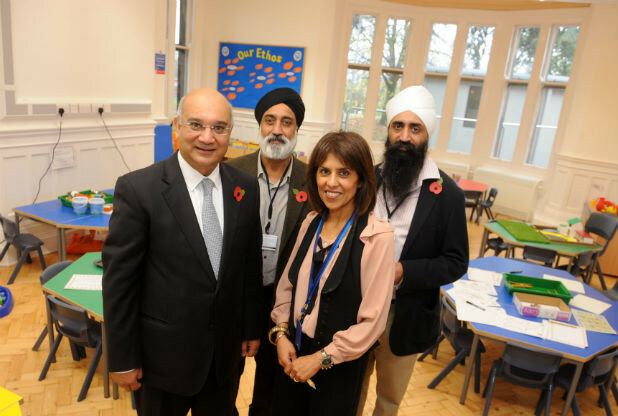 So when Leicester’s first free school was opened in 2013, the Krishna Avanti Primary, in Evington, the two quests of honour were Keith Vaz and Michael Gove. Another notable director of the Akaal Education Trust is local HMRC tax inspector Inderjeet Singh Panesar, who in addition to being the president of the Ramgarhia Sikh Temple, on Meynell Road, is the chairman of the board of governors of local authority controlled Soar Valley College. The latest news in the fast moving world of privatised eduction, is the announcement that the Akaal Education Trust is “putting together an application for a State of the Art Secondary School with a focus on Science, Technology, Engineering, Arts and Maths (STEAM)” which if approved by the Council would be opened in September 2016 as Falcons Academy.